Music is a gift that all of us as a parent, teacher, and care givers should make sure our children receive from us. In the world that we live in where everyone is in an endless pursuit of power, money or happiness, music can be our leveller or savior! In multiple studies conducted and reports published, it has been made clear that Music is to be considered as a very important and substantial part of our children’ daily lives. In schools it should be part of a formal curriculum for all round development of the children and not as an additional frill. 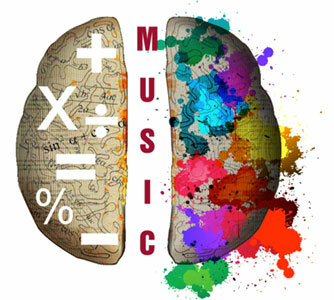 It has been proved that music stimulates parts of our brain, which are related to reading, math and emotional development. It helps in building up our memory and learning capabilities. In early development of children music works as an enabler for improved hand eye coordination, enhanced understanding of sound, rhythm, singing and movement. There are two major factors to become a skilled music performer, one being audiation which involves listening to sounds and processing it and the other being kinesthetic involving the technical skills of singing and movement (instrument). This, if developed from an early stage, is highly beneficial. Apart from the development of the child’s ‘brain power’ music can be a great influencer in their lives by helping them become more social, engaging, working in teams and helping them become better leaders as well. Music inculcates discipline and patience as children become older and attend lessons to learn a musical instrument or singing. They learn to adhere to practice time, which helps them in the later part of their lives. Having music on our side can be the best way of self-expression and gives us the confidence that is essential in today’s time. Music, whether practiced as a profession or as a hobby has a magical influence in the way we see the world and ourselves and has the potential to be the positive force of our lives. © 2016 Music is fun all rights reserved.